“We are very excited about our new fully enclosed suite, which is a real game-changer in terms of privacy, comfort, and thoughtful luxury. This is the first time an Emirates product has been so influenced by another luxury brand, but it is a natural fit as both Emirates and Mercedes-Benz have the same unwavering commitment to fine detail, uncompromising quality, and a drive to push the boundaries,” says Sir Tim. The new Emirates 777 First Class cabin interior uses a whole new colour palette of soft greys, cream and champagne, conveying a contemporary, open and airy feel, with quiet and timeless luxury. Each fully enclosed private suite has a floor to ceiling sliding door. The soft leather seat reclines into a totally flat-bed and can be placed in a zero-gravity position, giving a feeling of weightlessness. Emirates is also introducing the industry’s first virtual windows for suites in the middle aisle. Customers can view over 2,500 channels of on-demand entertainment on a 32-inch full HD LCD TV screen, or project content from their own devices. The viewing experience is enhanced with brand new Bowers & Wilkins Active Noise Cancelling E1 headphones, created exclusively for Emirates. The latest Emirates 777 aircraft with these new features will enter commercial service on 1 December 2018, making its debut on flights to Geneva and Brussels. 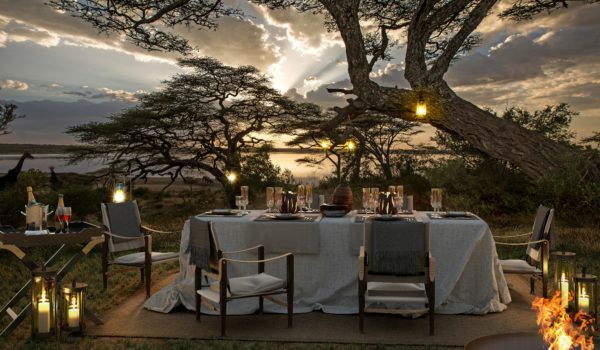 First Class customers can enjoy “dine on demand” service, with a selection of the finest cuisine prepared by gourmet chefs, accompanied by some of the world’s most exclusive wines, champagnes and spirits. 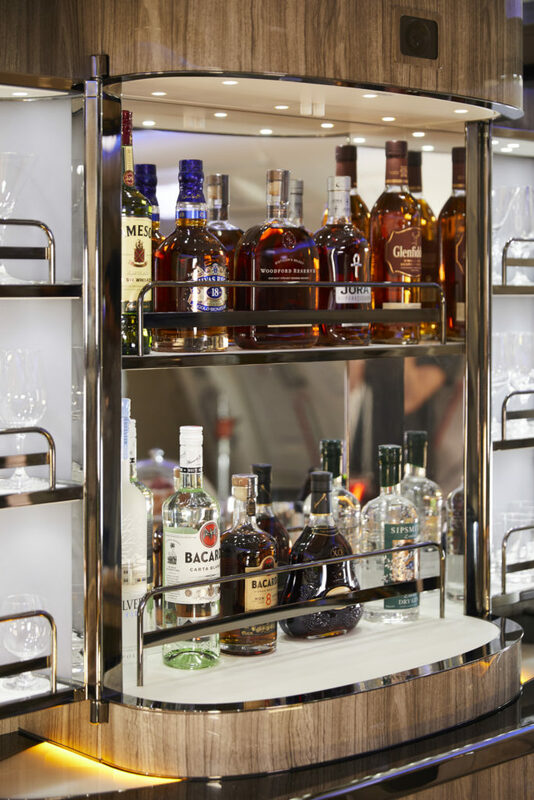 Emirates has recently refreshed its spirits offering across all classes with a range of premium brands. The spirits menu is an extensive new selection of over 30 spirits and liqueurs, complementing Emirates’ world class offering of over 80 fine wines and champagnes. 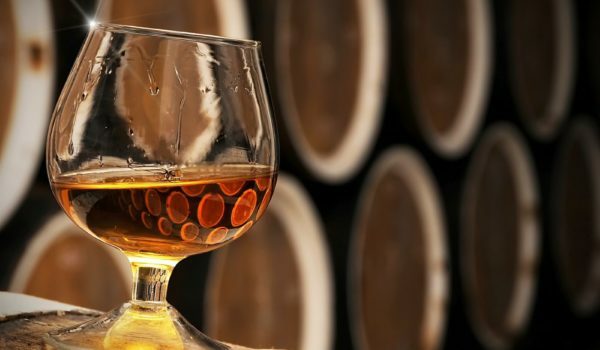 It boasts a mix of niche, hand-crafted brands, as well as popular well-loved spirits like Hennessy Cognac. Hennessy Paradis is served in First Class and on selected routes, for a limited period, the rare Hennessy Paradis Impérial will also be served. Other brands served in First Class include: Dalmore King Alexander III, the only single malt Scotch whisky in the world created using a unique six-cask finish; Belvedere luxury vodka; Johnnie Walker Blue Label Scotch Whisky and premium Guatemalan Rum, Ron Zacapa Centenario XO. Emirates has also refreshed its cocktail menu by adding the Negroni, Old Fashioned and Aperol Spritz. 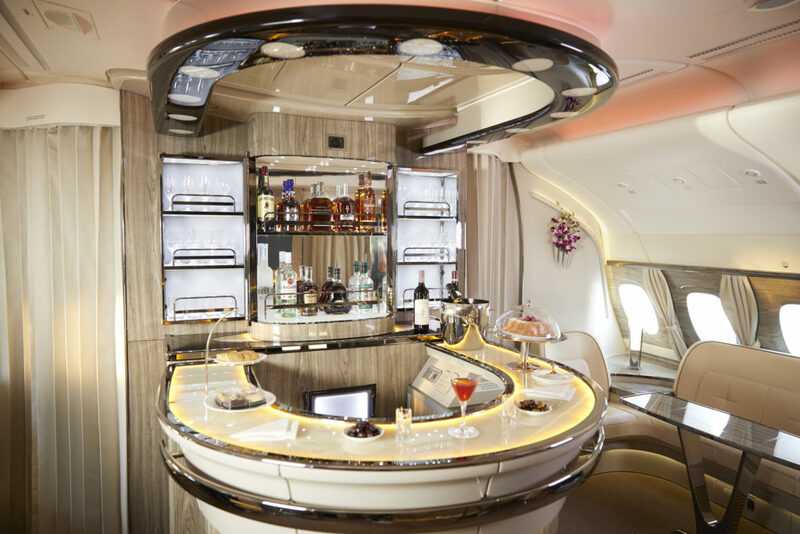 Emirates is also serving regionally focused beverages such as Amarula, a fruit cream liqueur.